You’ve been out all day at the hockey rink. You’ve spent the day picking apples at the orchard. You’ve been climbing through a glorious forest of colourful fall trees. What’s for dinner tonight? A simple and delicious vegetarian recipe for your family to enjoy. It’s fall and the weather has taken a turn. We are changing the things we do and the food we eat. It’s time to fill our tummies with warm, simple, comfort foods. 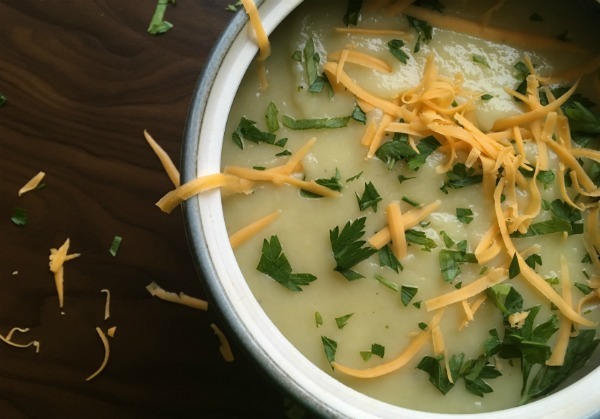 Soups are the perfect dinner solution. Not only are they super simple to make, they fill your home with warmth. 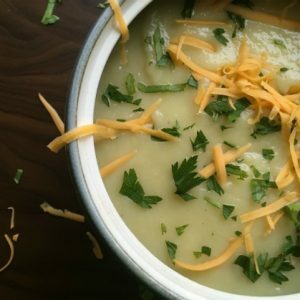 This classic potato and leek soup needs only three ingredients and is ready in about 30 minutes. 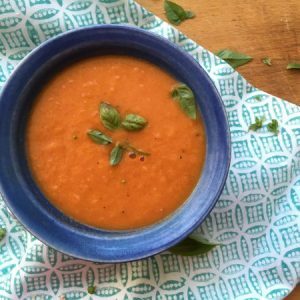 Feed your little hockey player, your hiking companions, your apple pickers a big bowl of fall flavours. 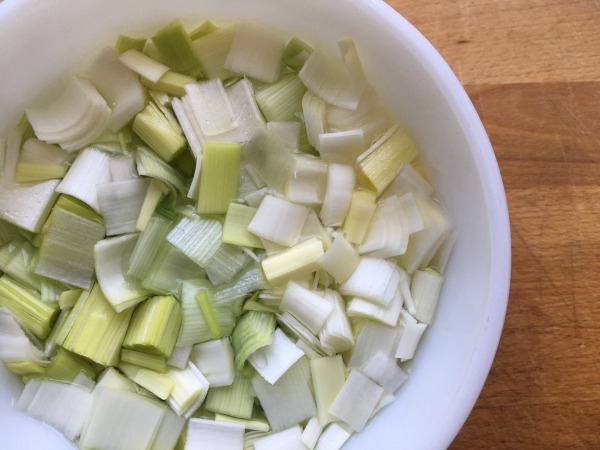 Prepare the leeks by first chopping them and then soaking them in a bowl of cold water. This is the easiest way to ensure that all the dirt is removed from between each layer. 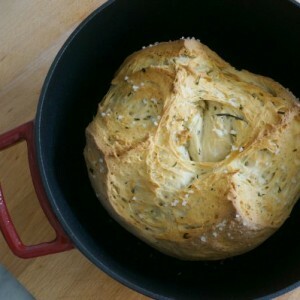 Pour oil into a heavy bottom pot (dutch oven) and warm over medium heat. Add in leeks. Sauté leeks, without letting them brown, over medium heat until softened. Approximately 8-10 minutes. 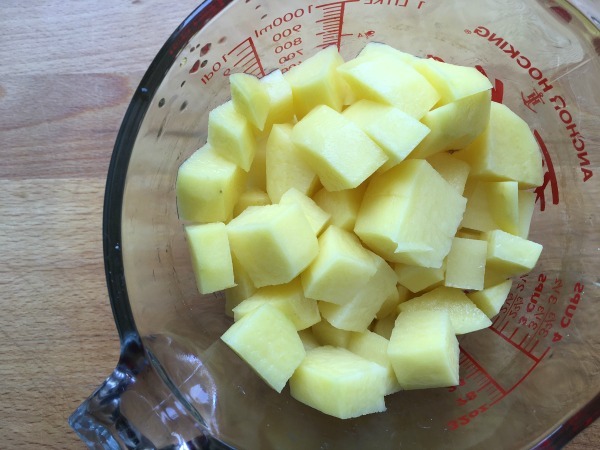 Drop in peeled and chopped potatoes and pour in chicken stock. Bring to a boil and then turn down to a simmer. 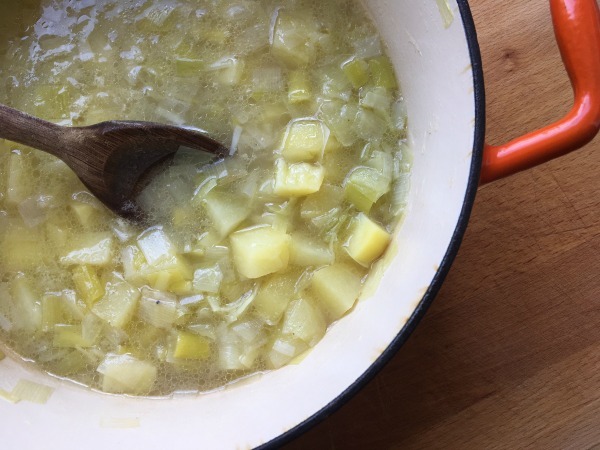 Let soup simmer until potatoes are softened, approximately 15 minutes. 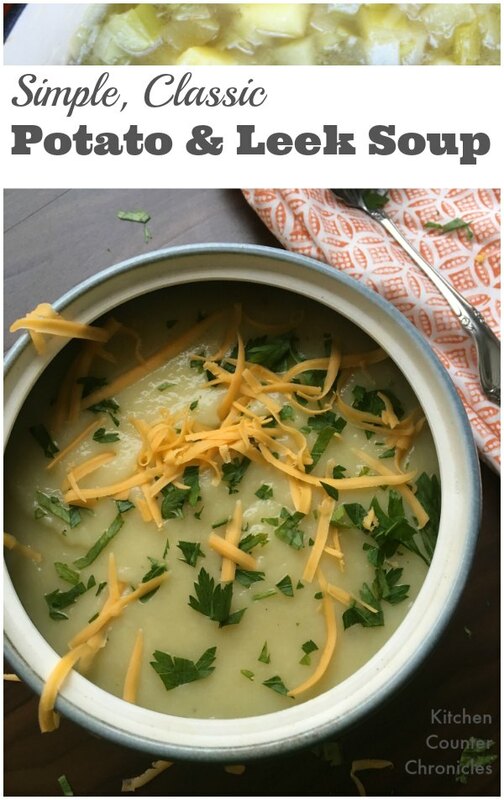 Once potatoes are soft carefully transfer soup to blender…use a ladle to transfer soup one scoop at a time. Puree the soup in the blender. Alternately, puree with soup with a handheld emersion blender. Again, be very careful as the soup is hot. 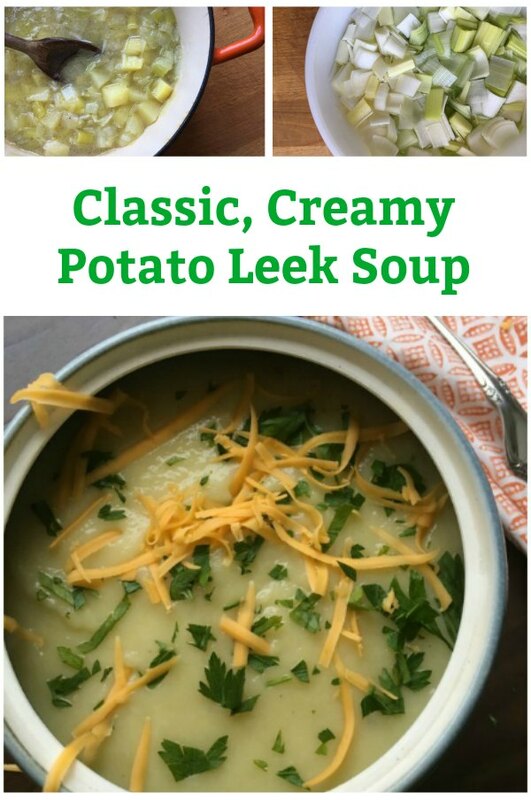 Top your soup with whatever you like…cooked and chopped bacon, fresh chives, chopped parsley, shredded cheddar cheese, dollop of sour cream, etc. 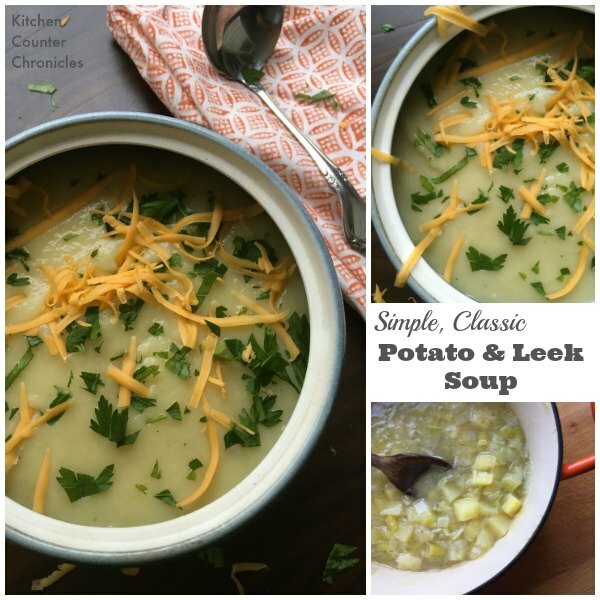 A recipe for classic potato and leek soup, always a delicious soup the entire family will love.